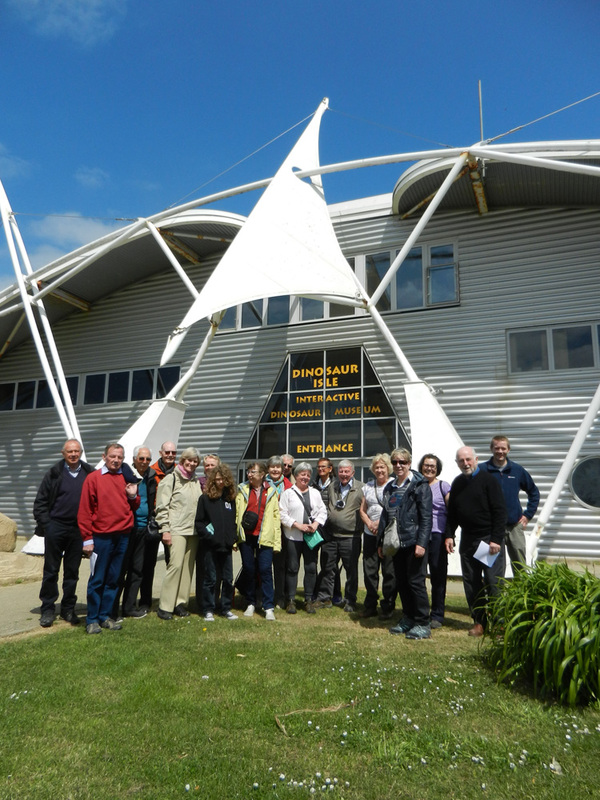 The Vertebrate Palaeontological Society of Viller-Sur-Mer joined members of The Dinosaur Society and H.O.G.G. 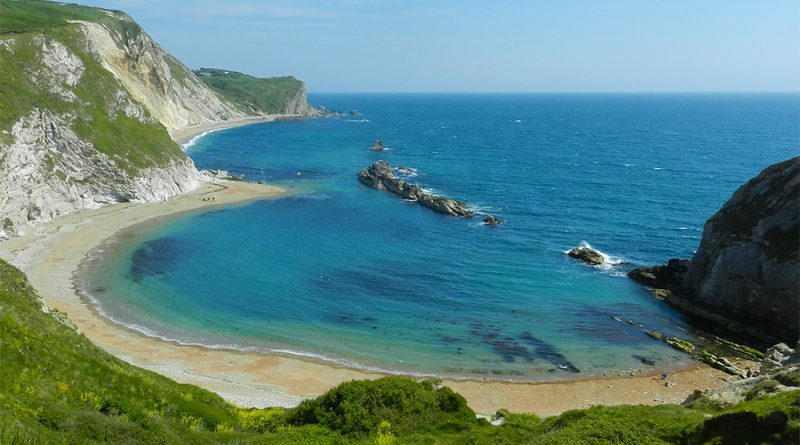 in early May, 2017 for 4 days exploring the geology of the Isle of Wight and the Dorset coast. 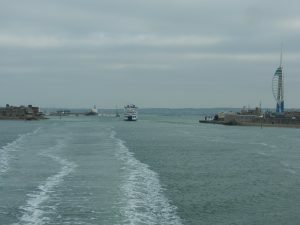 After a late-night rendezvous and a night in a sea-front Portsmouth hotel, the group set off early morning in 2 minibuses for the ferry to the Isle-of-Wight. 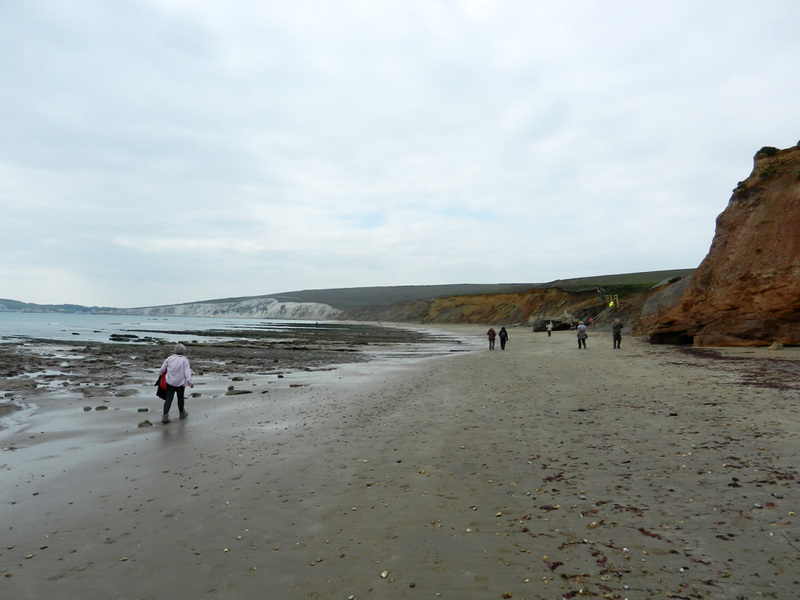 The first port of call was Whitecliff Bay, a locality showing the succession from chalk to the SW, through the Tertiary up to Oligocene Bembridge Beds at the NE end of the bay. 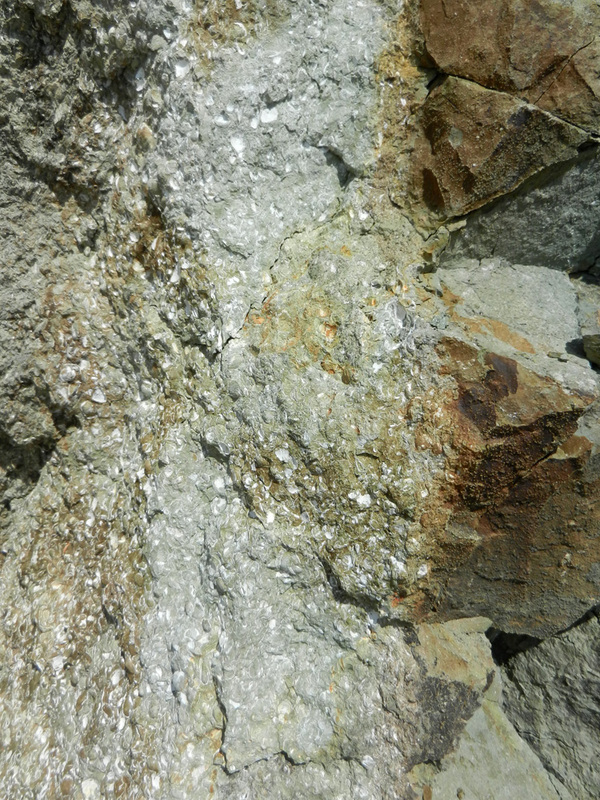 The roughly 500m section of late Palaeocene to late Eocene is one of the most continuous sections of this age in NW Europe. 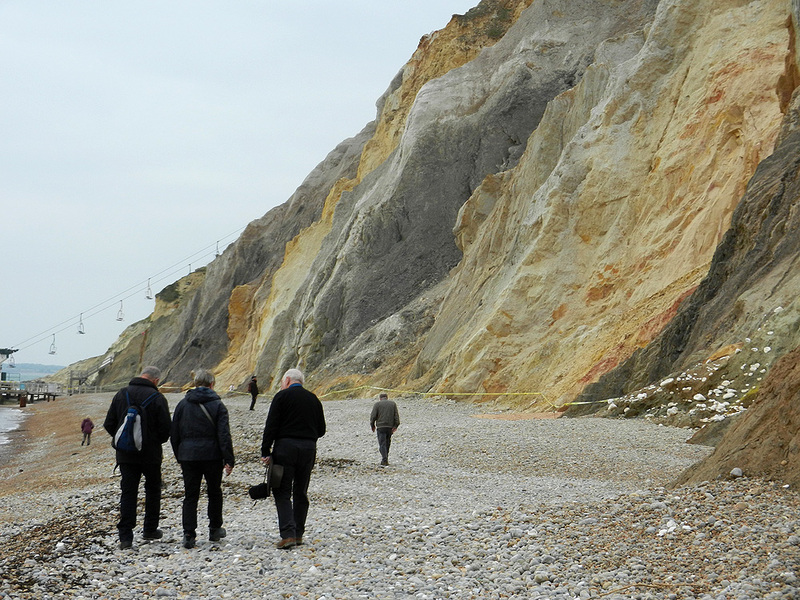 Whitecliff Bay is known for sponges, echinoids and belemnites from the Portsdown member at the top of the chalk and shark’s teeth, worm tubes and shells from the London Clay basement bed. 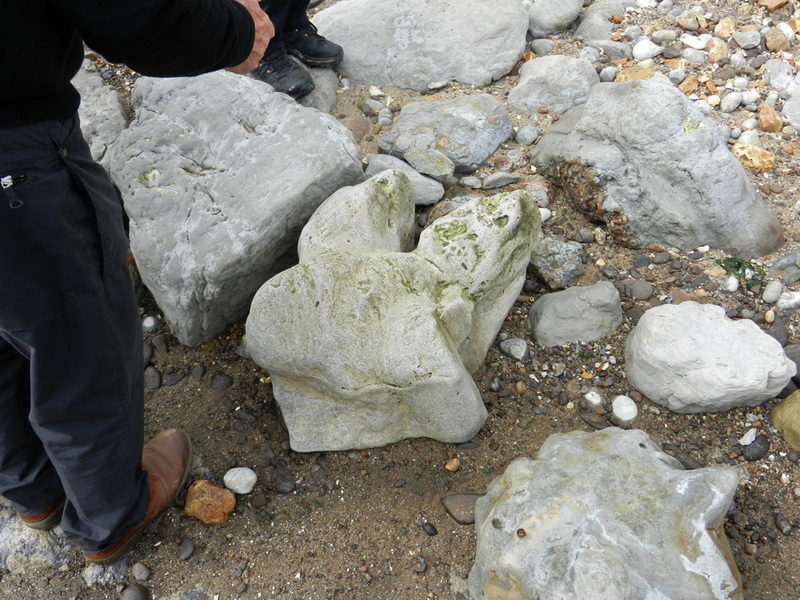 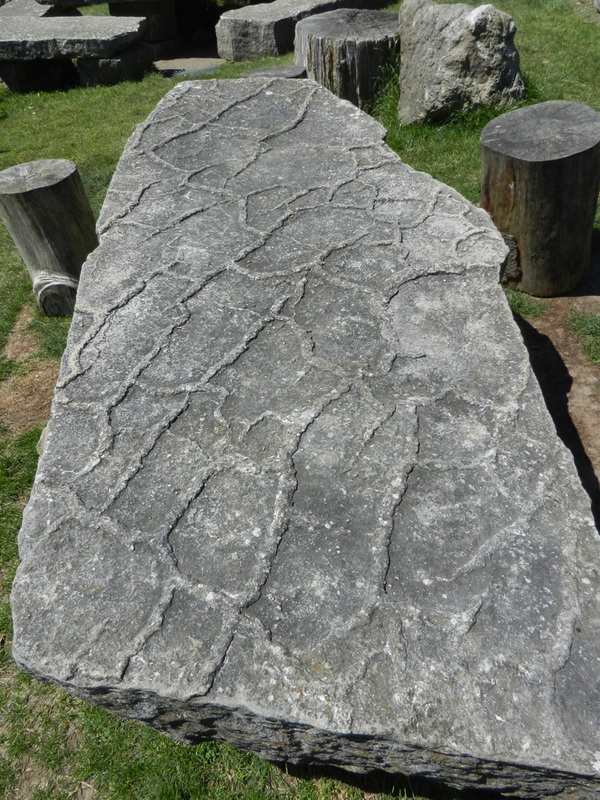 At the Eastern end of the bay, the Bembridge Limestone yields superb specimens of Planorbina and Galba. 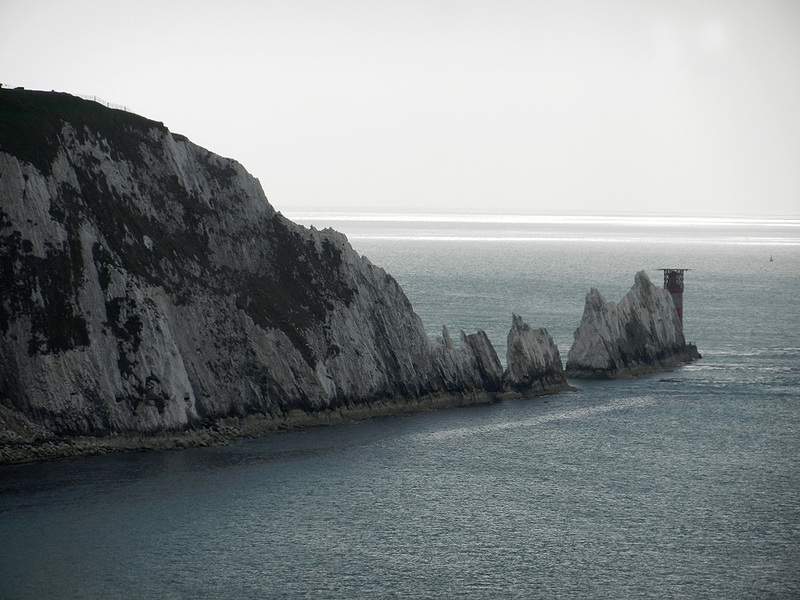 This location and Alum bay (see below) provide detailed sections through the shallow and non-marine sediments of the Palaeogene. 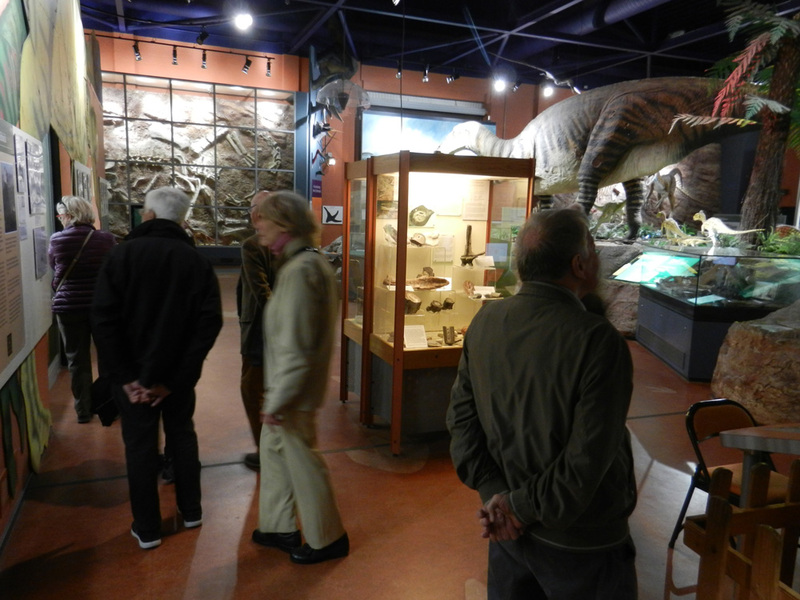 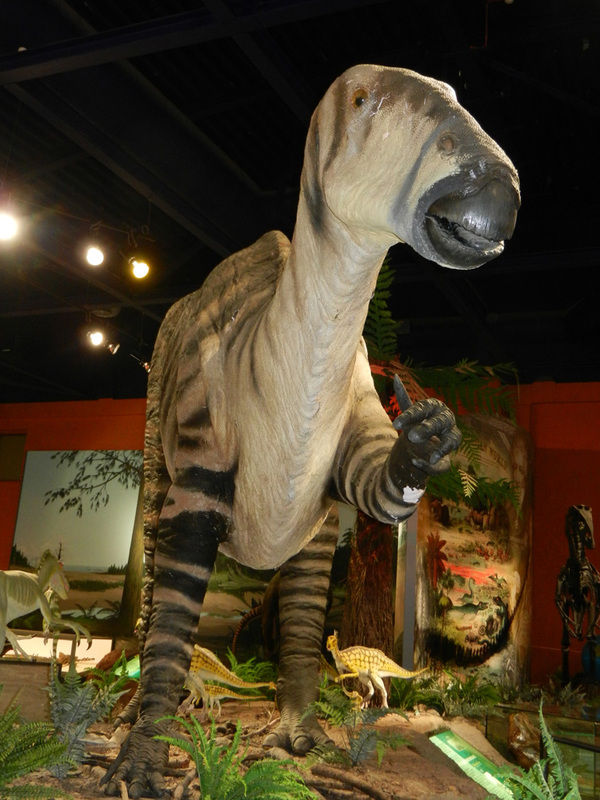 Late morning, the group enjoyed a visit to the excellent Dinosaur Isle Museum, Sandown. 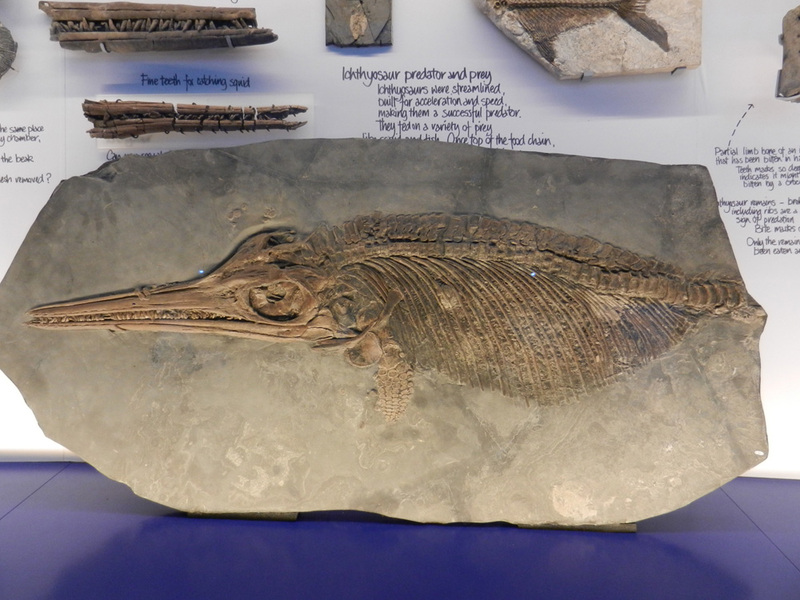 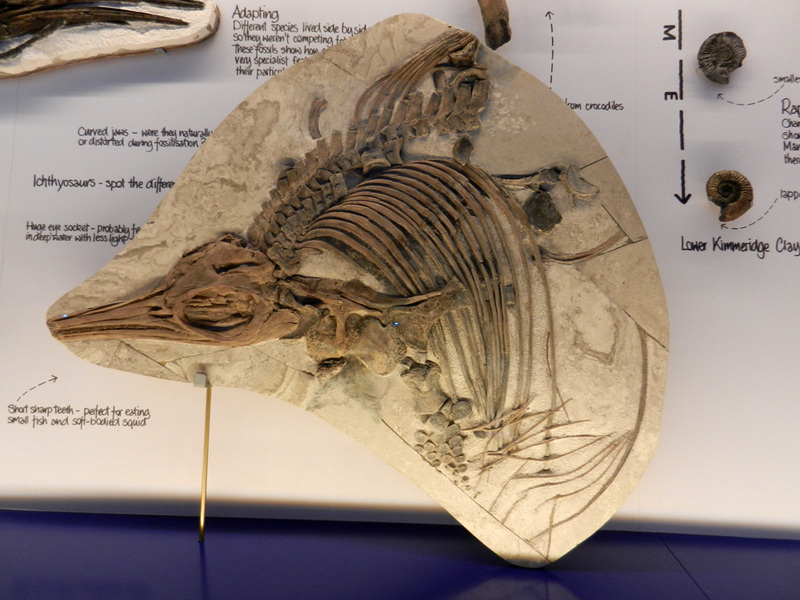 The museum contains thousands of specimens from the Isle-of-Wight, a world-class fossil location, and is well worth an extended visit. 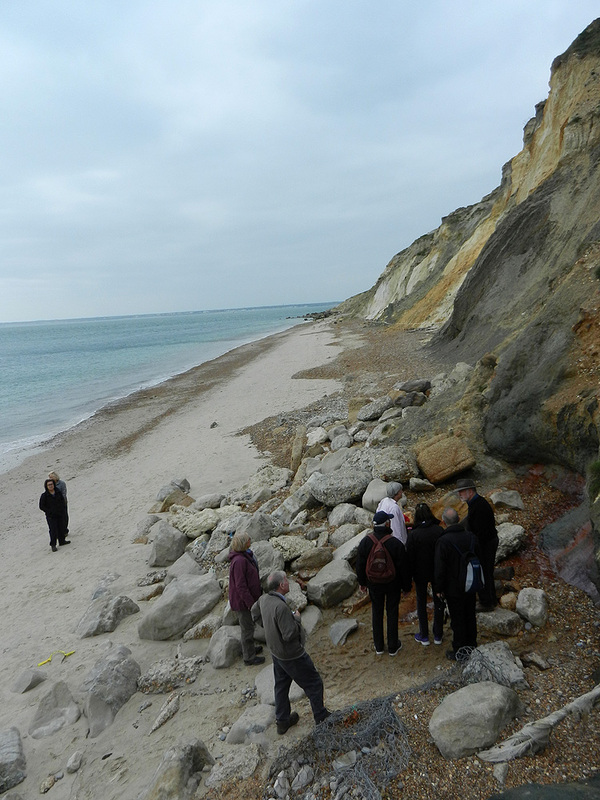 Following some well earned rest at the excellent Buddle Inn, the fieldtrip continued to Hanover Point. 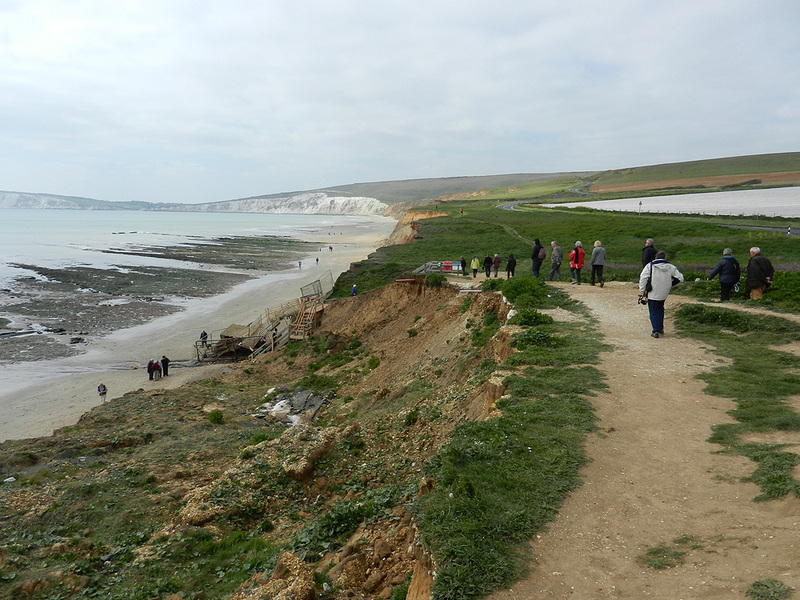 As was common throughout the trip, this section of coast was showing obvious signs of coastal erosion, with a section of the cliff recently collapsed and a damaged storm drain on the beach. 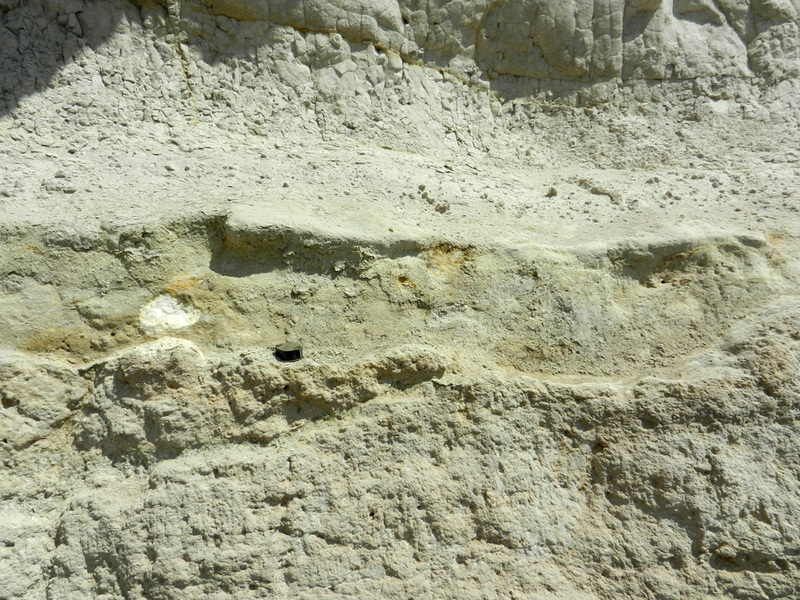 The rocks exposed at Hanover point are lower Cretaceous in age, belonging to the Wealden Group. 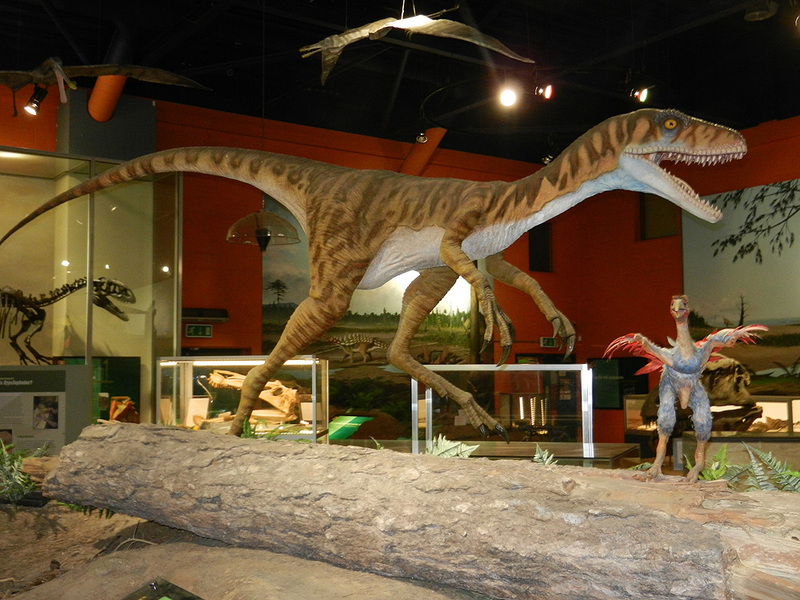 This area is famous for the large foot casts of Iguanodon found on the foreshore. 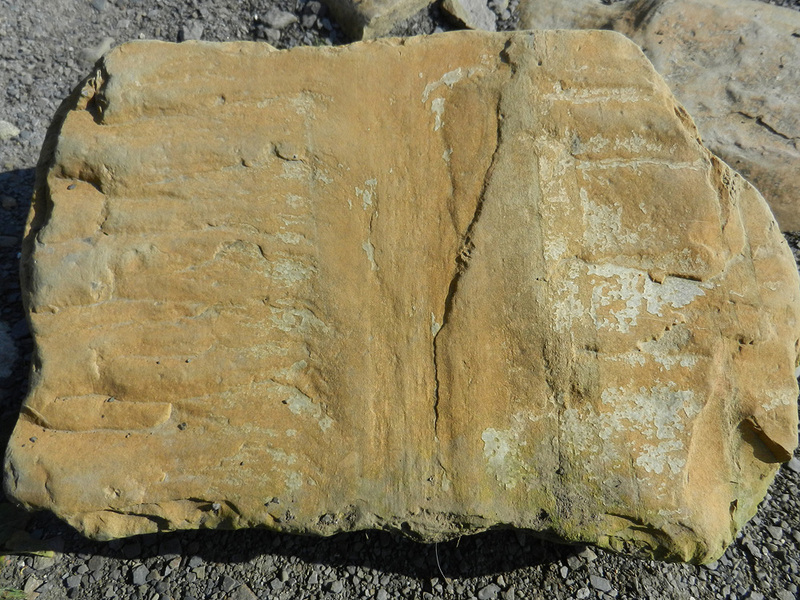 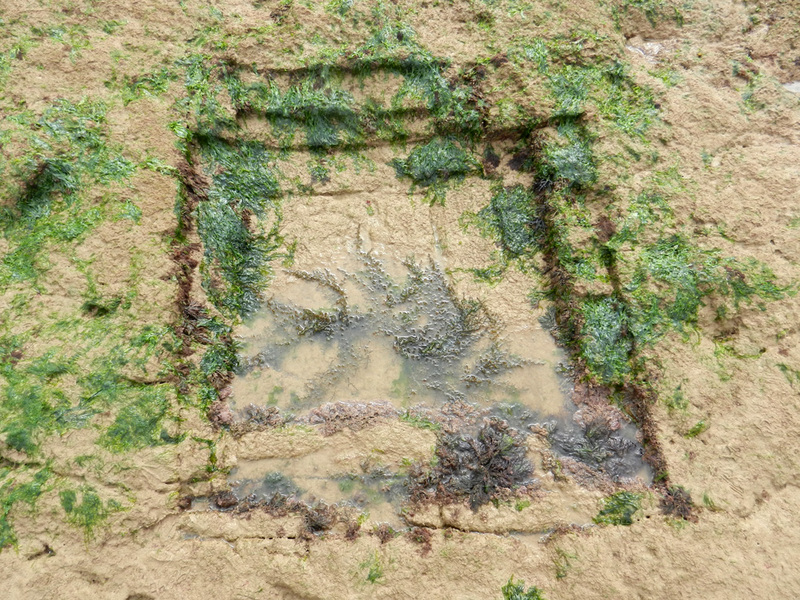 There are also recorded imprints in the reddish-orange mudstone on the foreshore but they were not to be found on our visit although we did find a section that had been removed, apparently using mechanical tools which would suggest they are now elsewhere preserved. 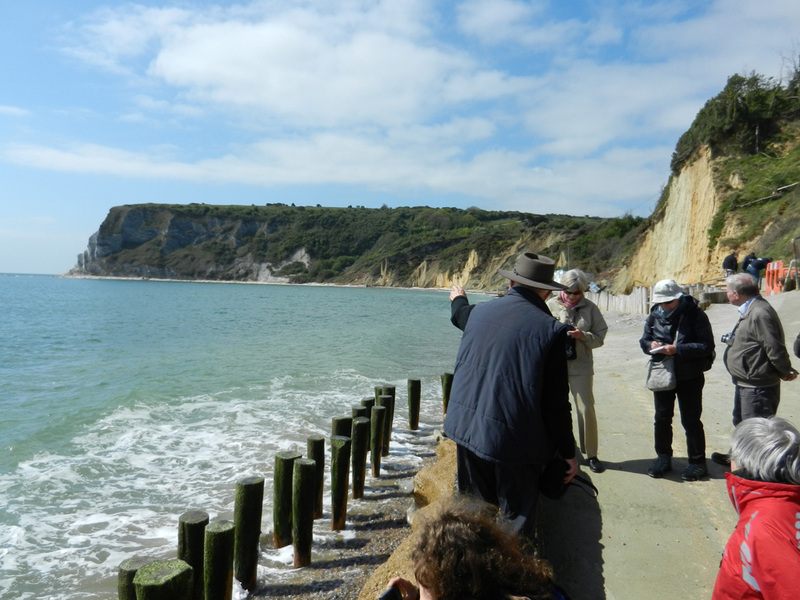 The group then moved on to the last visit of the day and also the last locality of the itinerary on the Isle of Wight, Alum Bay and The Needles. 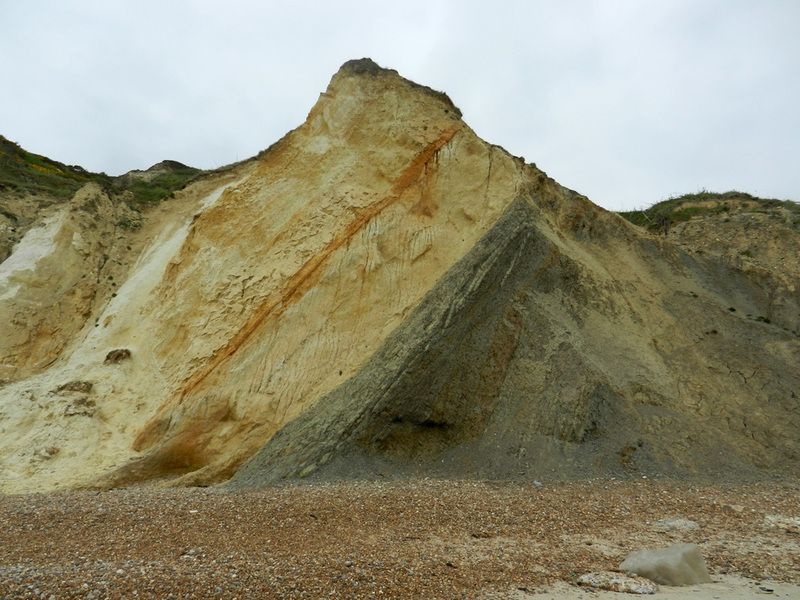 Alum Bay has featured prominently in the history of geology in the UK, with the obvious structural features exposed so prominently together with the nearly unbroken succession of Tertiary sediments. 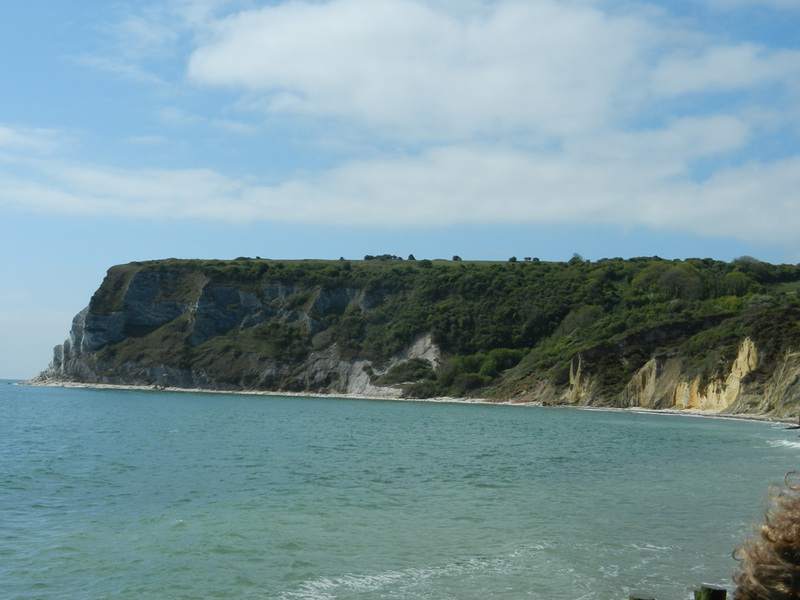 Alum Bay is of course also famous for the coloured sands so popular with tourists. 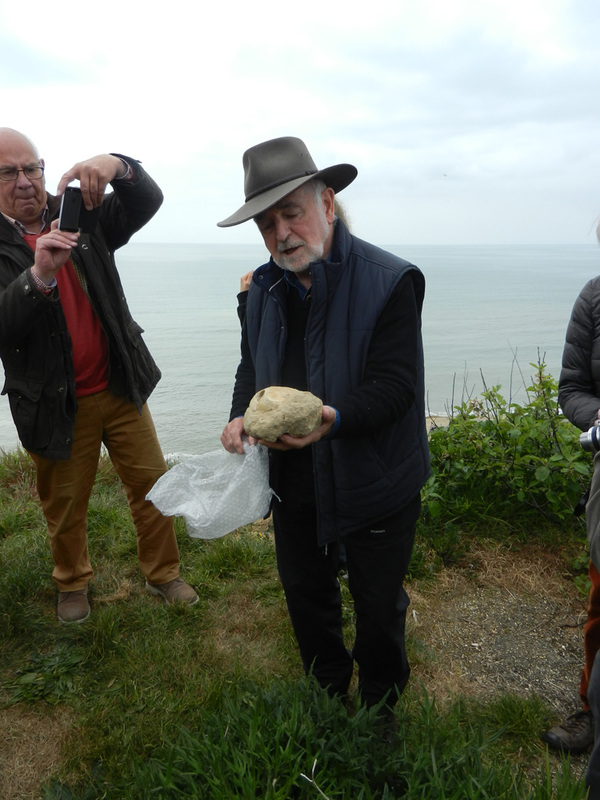 In addition to the beautiful range of colours in the cliffs due to the various sulphates, Professor Moody also pointed out a possible oil seep in the cliff, an indication of the historical and current oil potential of this part of the UK. 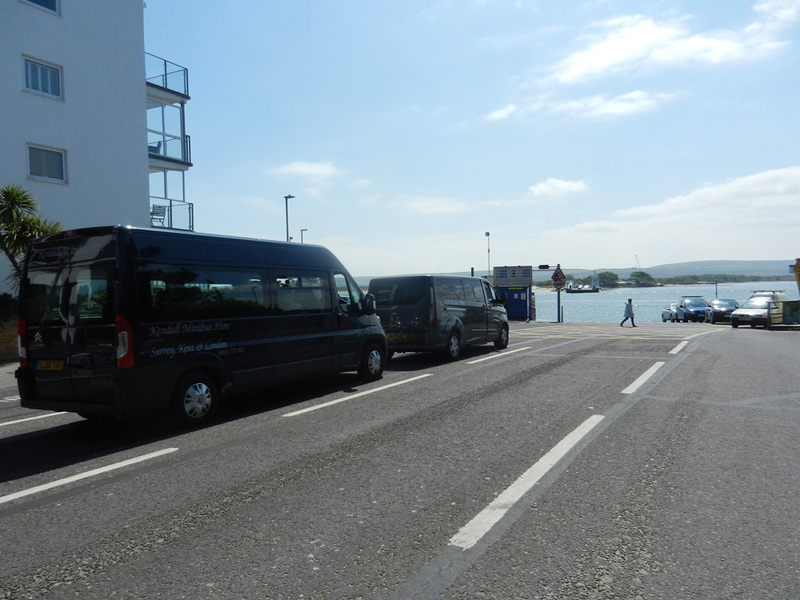 The group retired to their hotel for the night in the picturesque Albion Hotel, Freshwater Bay. 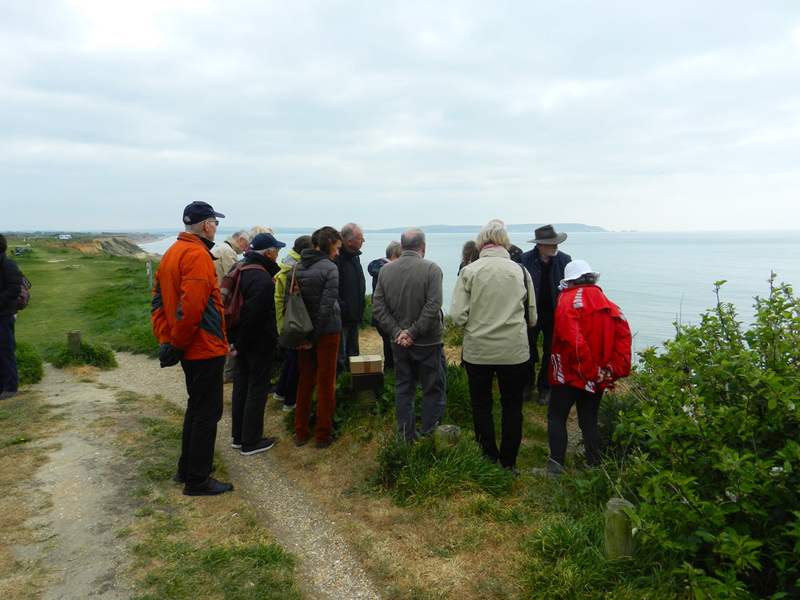 After leaving the Isle-of-Wight via the Yarmouth to Lymington ferry, the fieldtrip progressed to the Dorset coast, with the first visit of the morning to Barton Cliffs, Christchurch Bay. 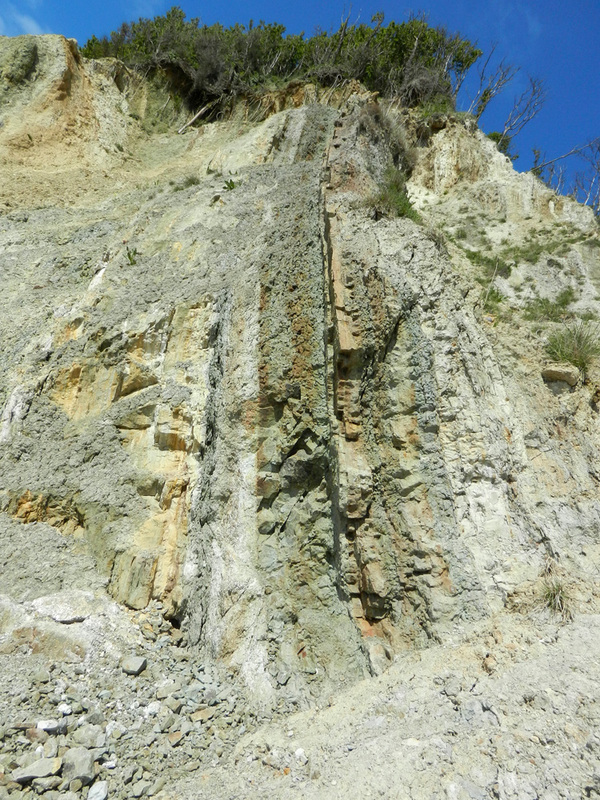 The rocks at this locality are Upper Eocence in age and comprise clays and sands, many of which are fossiliferous. 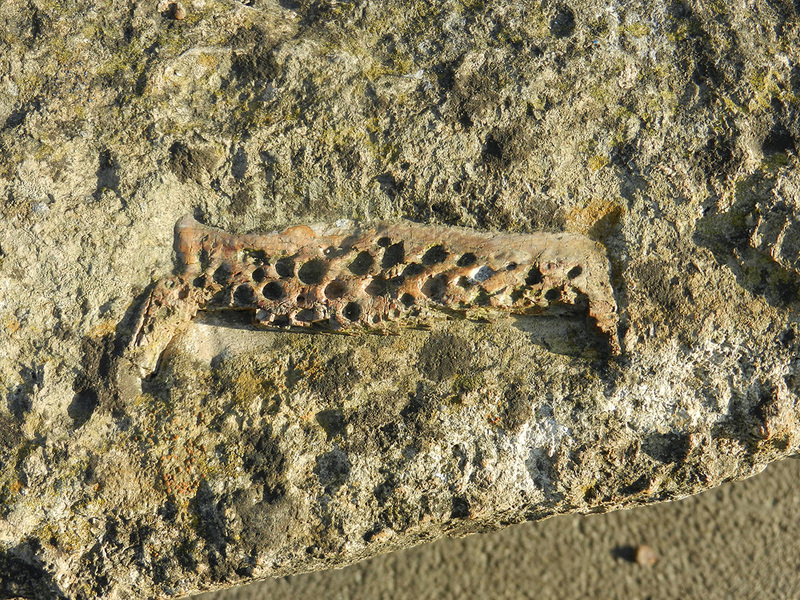 The Barton Clay has yielded more than 500 species of fossil molluscs. 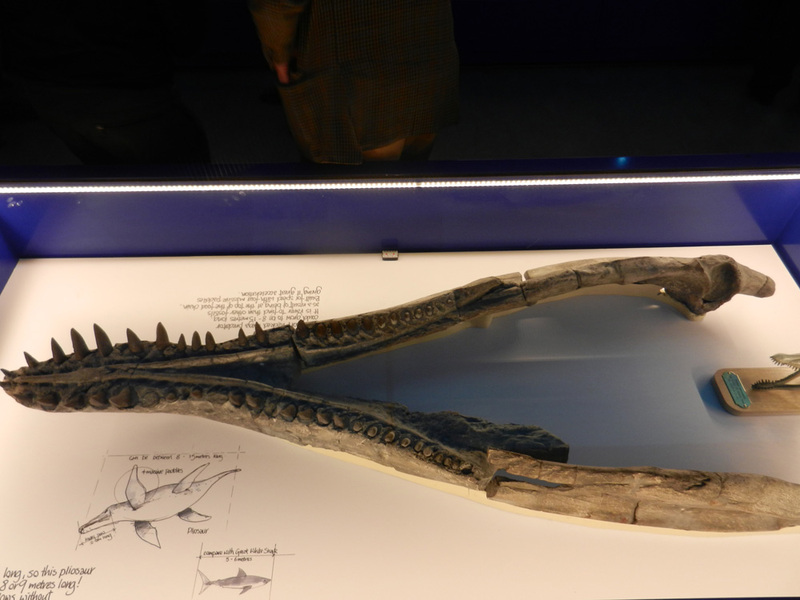 There are also shark and ray teeth, corals and rare turtles. 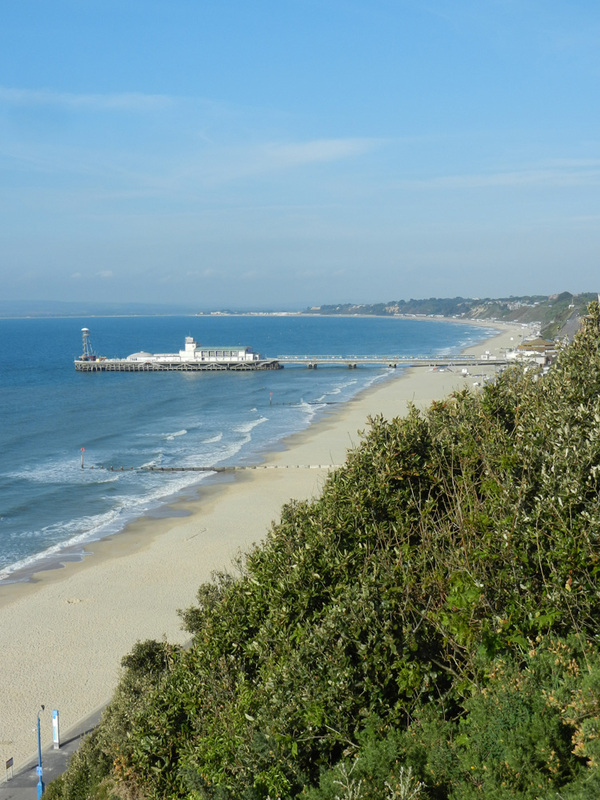 This area is subject to extensive land slips and slope failure and provides interesting examples of sea defense methods and their failures. 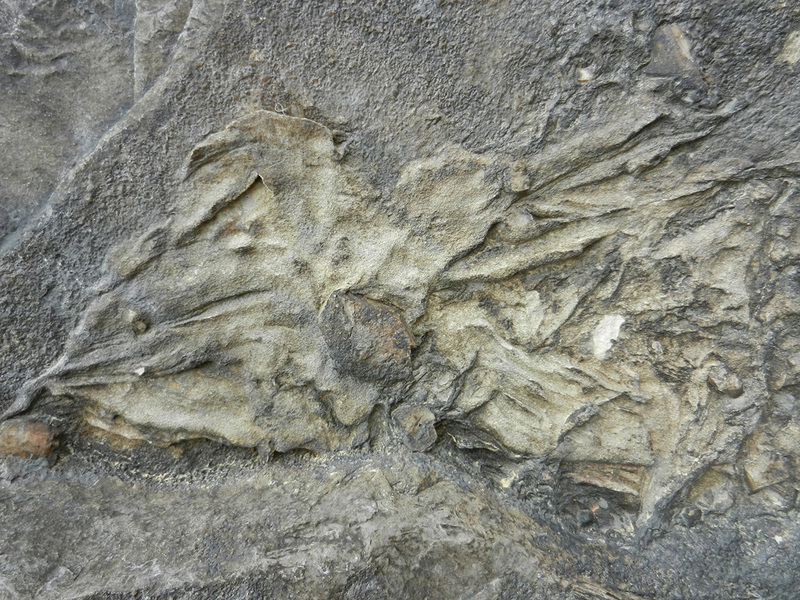 The opportunities for fossil collecting have been diminished, both by the erosion and the construction of the defenses. 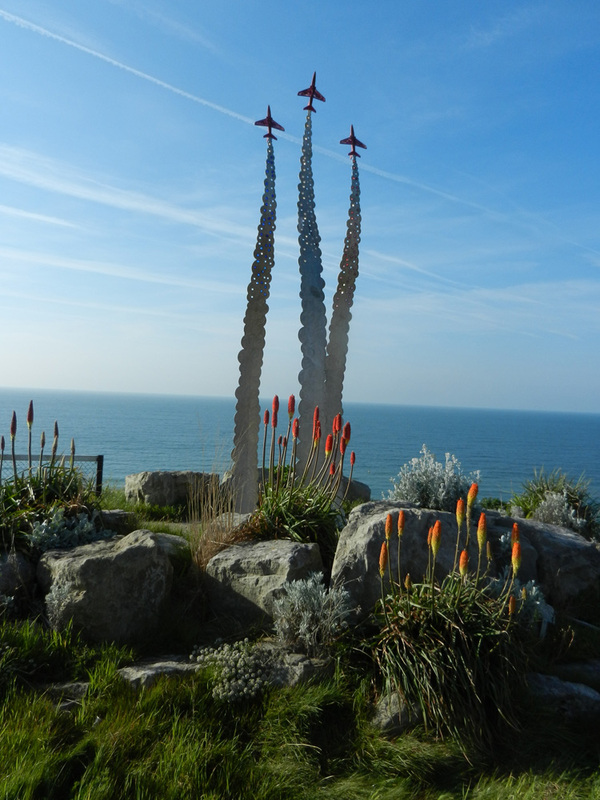 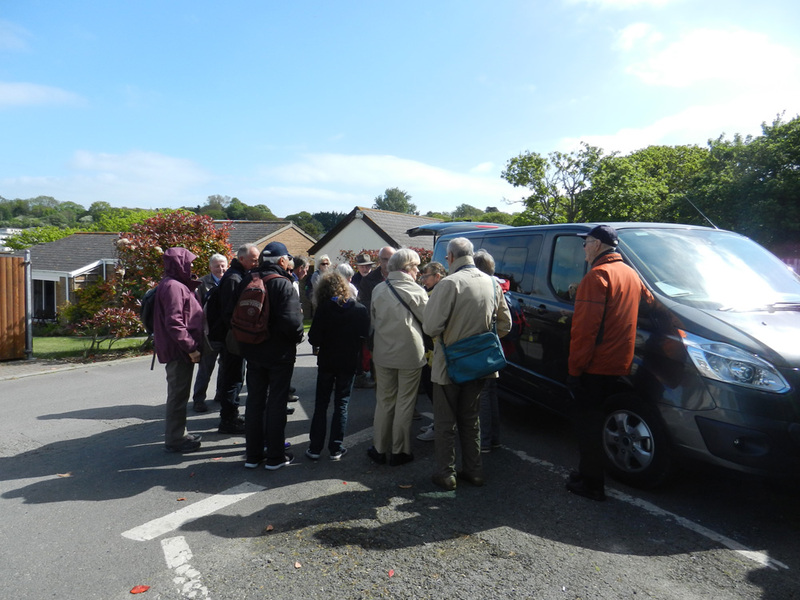 After a short drive through Bournemouth and a pleasant sunny journey on the Sandown ferry to the Isle of Purbeck, the group headed for Kimmeridge, more specifically an excellent lunch at Clavell’s Cafe. 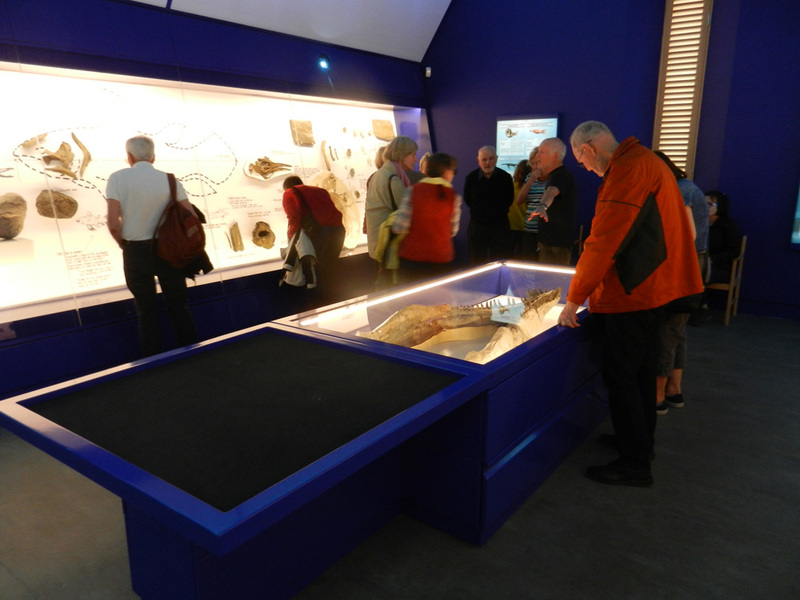 The cafe is situated across the way from the Etches Collection which we visited with the kind assistance of Steve Etches himself after lunch. 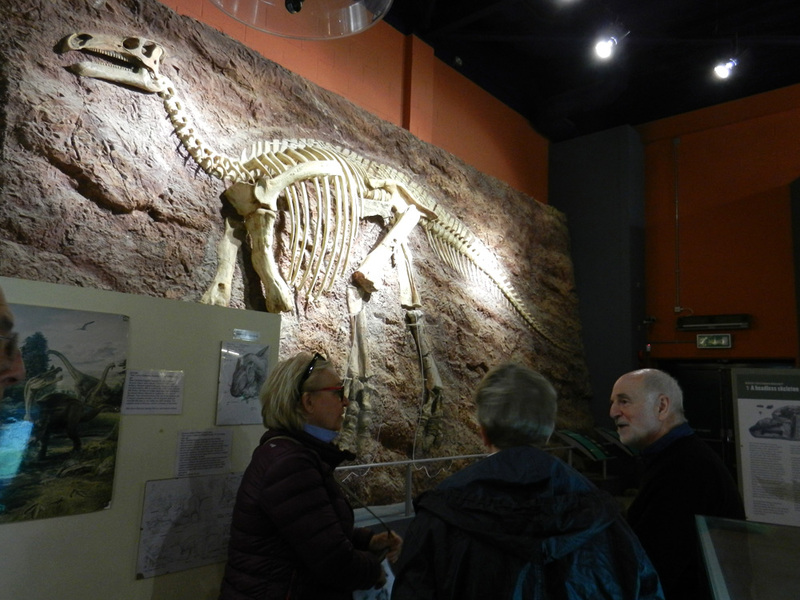 The museum, recently built around the magnificent collection resulting from 30 years of labour on behalf of Steve should be on the list of anyone with a passion for palaeontology. 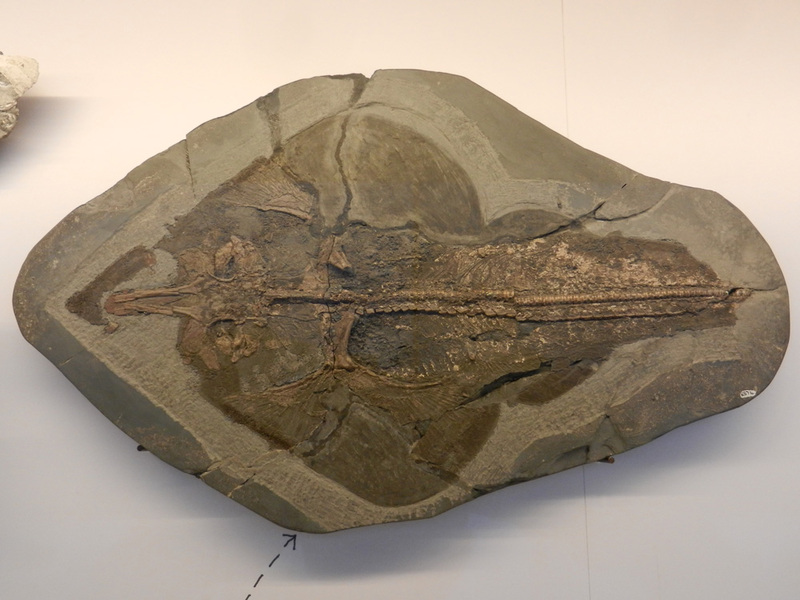 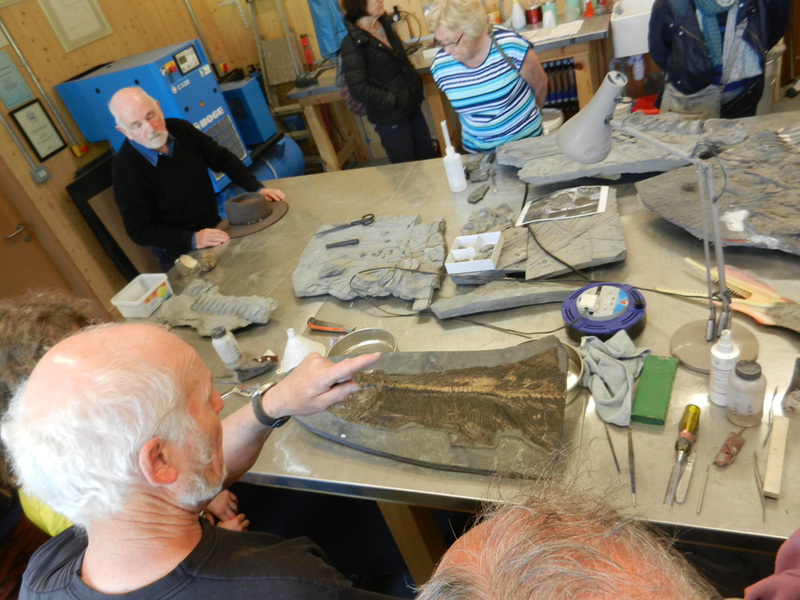 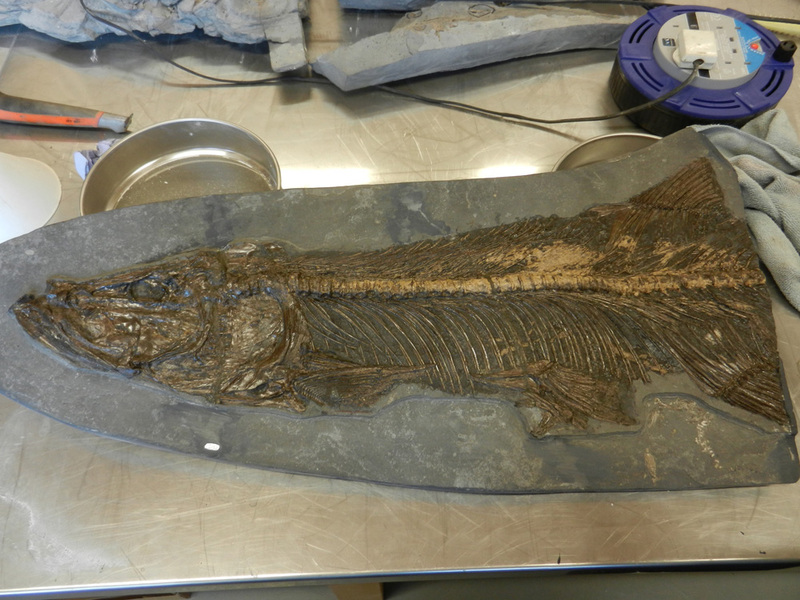 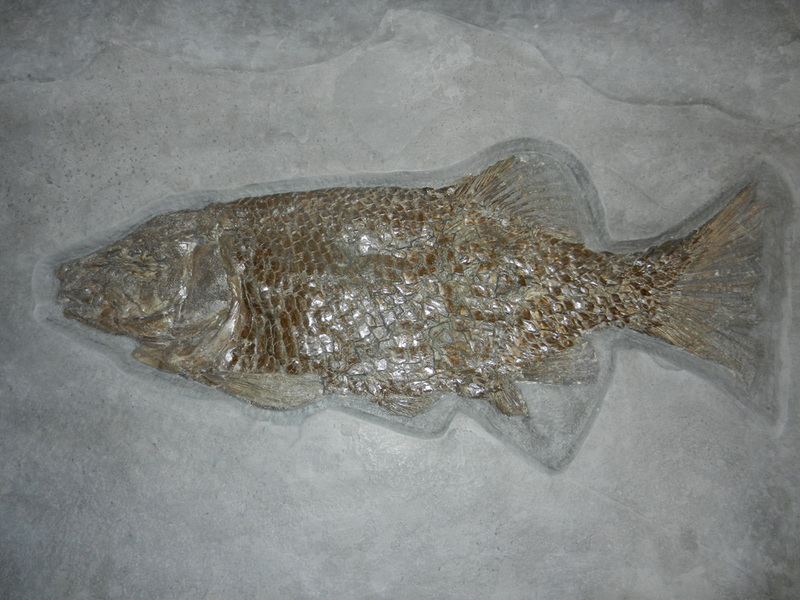 The group were given a guided tour by Steve, including his workshop and specimens not generally on show, particularly those used in world leading research on fish, and the group left in awe at what can be found fossil hunting in Dorset. 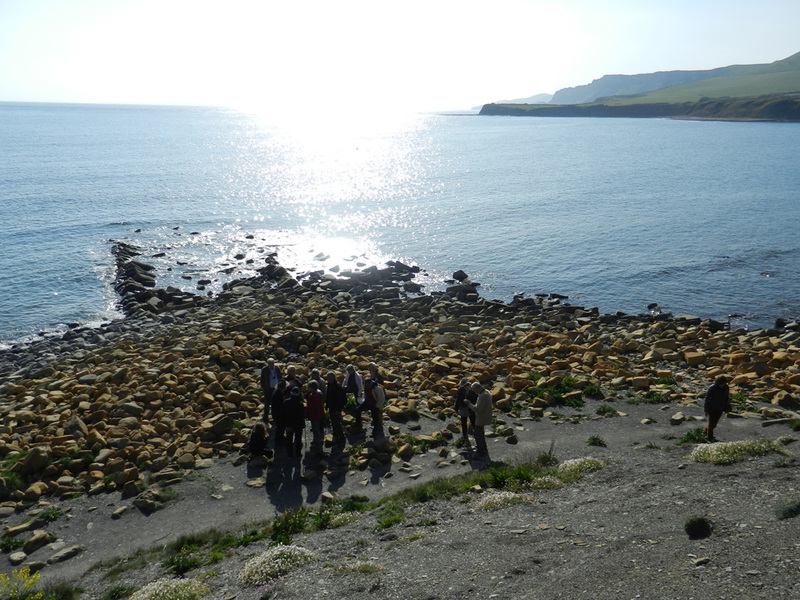 The tour then took a short trip to Kimmeridge Bay, the location of much of Steve’s finds. 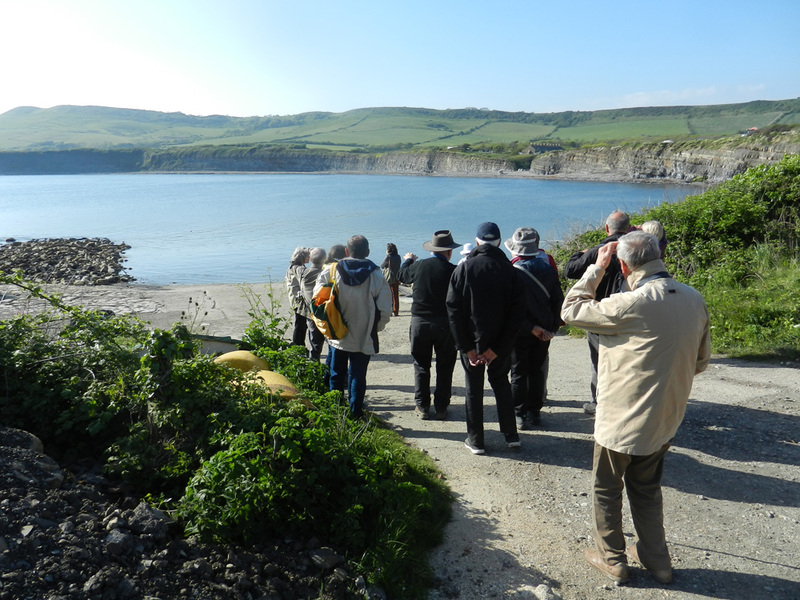 Most of the fossils to be found in the Kimmeridge clay (predominantly bivalves with some ammonites, brachiopods, gastropods and crinoids) are crushed and of no real interest to the collector. 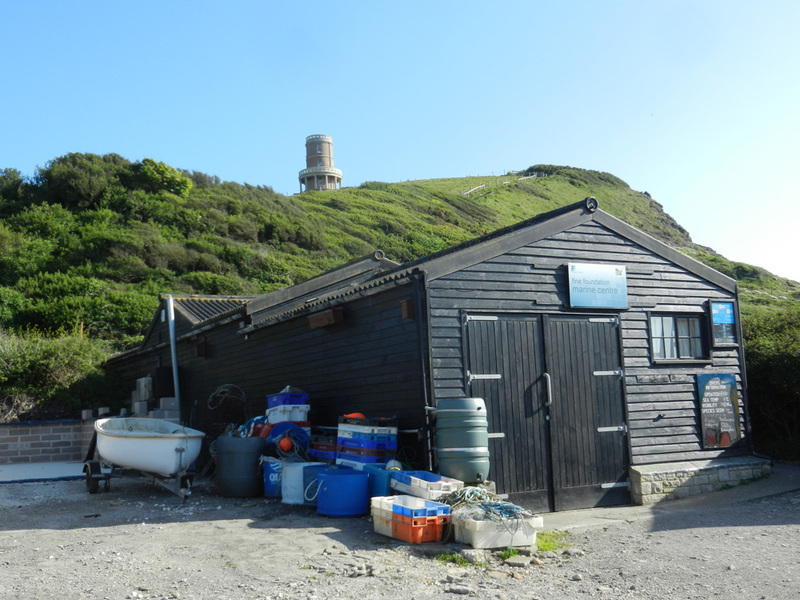 There are rarer more spectacular finds to be had though as evidenced by Steve Etches collection, including rare marine & terrestrial vertebrates, squids, barnacles and ammonite eggs. 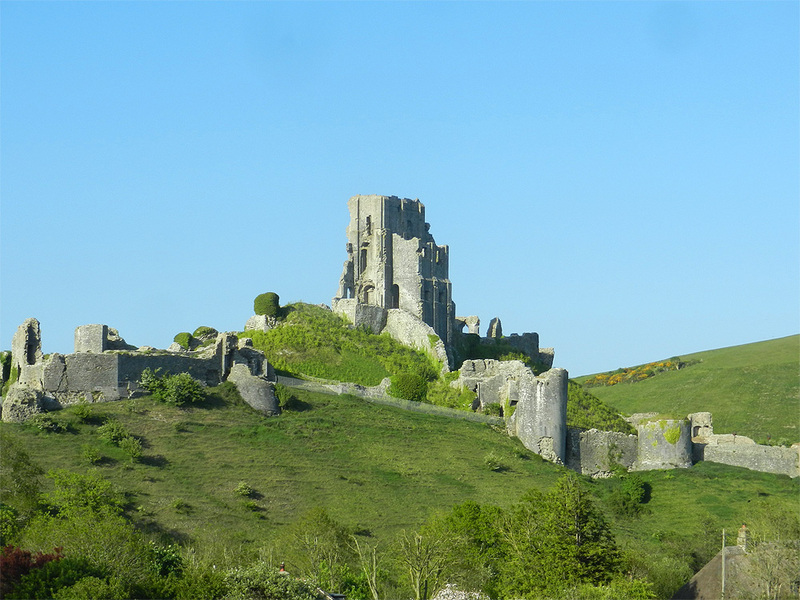 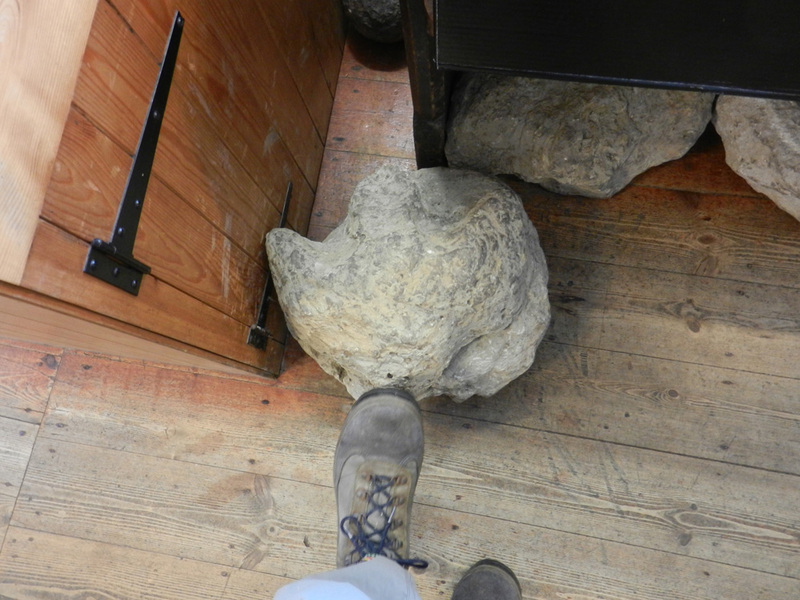 Another enjoyable day of the trip was nearly over apart from a surprise visit to The Square & Compass, Swanage to see the museum attached to the pub and the various palaeontological treasures that can be discovered in the garden – a unique experience. 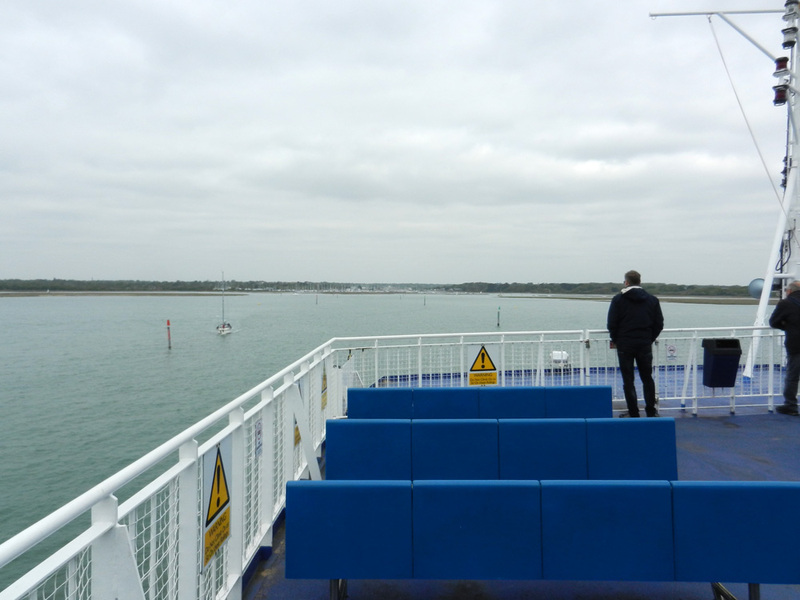 The group finally made the journey back via the ferry to Bournemouth for the night.